We have all been there. You’re running out the door to work, all set to be on time, when you discover that your car won’t start. Or you take a new route only to be stopped at the train tracks for ten minutes watching the cars slowly roll by. 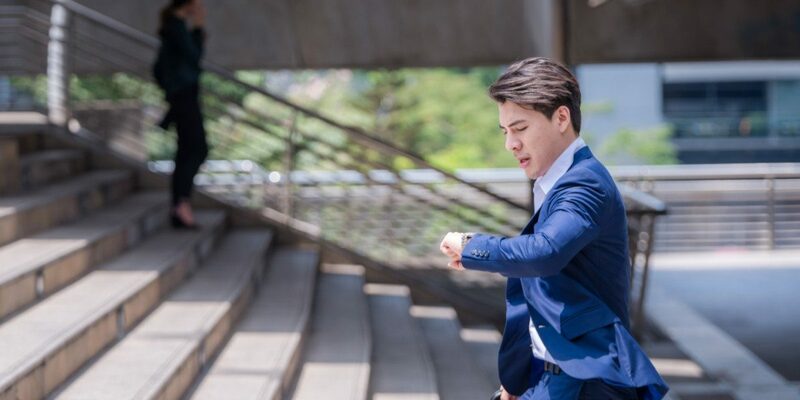 Being late to work happens to everyone at some point, but when it is becoming a chronic problems employers need to take action. Tardiness can affect the bottom line of your business, can leave a poor impression on customers if no one is in an office, and can set a precedent that expectations are not taken very seriously at your company. You will never completely eliminate employees being late, but you can take steps to drastically reduce tardiness. Your attendance policy should be clearly outlined when your employees are hired, and there should be no confusion about when they should be at work, how many breaks they can take, and what time the workday ends. There should be no confusion as to what the expectations regarding attendance and time are at the workplace. Along with expectations, make sure that there are consequences spelled out before any problems occur. This can be in the form of making up the time, docking pay or bonuses, or issuing written warnings that will lead to a disciplinary review. If you clearly outline the plan for employee lateness from the beginning you will be able to refer back to your handbook or employee guide to justify the consequences. Being occasionally late is one thing, but chronic tardiness can affect a whole company. Other employees may notice a late worker never being reprimanded for their offenses and decide that they too would like an extra hour of sleep in the morning. Worker morale can drop if some are working longer than others, and even client relationships can suffer if an employee is never available when they say they will be. Tardiness that becomes commonplace can create a work environment of disrespect, laziness, and unproductivity. To keep your culture focused on hard work, timeliness, and efficiency, making sure your tardiness policies are enforced is key. While your policies may stay the same over the years regarding attendance, you may need to give your employees a refresher. Holding a company-wide meeting where you go over the expectations for being on time, and not taking longer breaks or lunches than you are scheduled, allows you to get everyone back on the same page. You can also use the time to reinforce the consequences that will come if attendance is not taken seriously. Finally, never underestimate the power of peer pressure, and utilizing it for good. If you start a culture of timeliness, those who are prone to being late will feel pressure to change their bad habits and become more punctual. Is everyone late back to lunch? Have you seen an increase in tardiness first thing in the morning? If you are seeing problematic trends with attendance, you may need to adjust things in the workplace. If you aren’t giving your employees enough time at lunch, for instance, they may struggle to get back to work after only getting to eat half of their food. This can really impact company morale, and can deter prospective employees from wanting to apply. If you are seeing that all of your employees are having trouble with breaks or lunches, make some adjustments to make it easy to be on time. If you are willing to be flexible on some aspects of your attendance system you may have fewer problems with employees who have other responsibilities that cause them to be chronically late. Another big problem can occur if you are using an outdated form of time tracking, or a system that cannot handle multiple punches at once. A backed-up system can make it seem like the employees who clocked in last were actually late, when it was just a delay in the information processing. If being on time is really becoming an issue in your company, use positive reinforcement to help everyone be more aware of their attendance. If you are just adjusting your company policies, using rewards, bonuses, or prizes can be the incentive necessary to make your employees be on time. Reward the team or department that has the best attendance records, or individually praise an employee for making a concerted effort to take control of their attendance. Giving positive reinforcement can really help to make your employees feel valued and understood and can help with time management. How are you tracking your employees’ attendance? Are you just watching them breeze in late, but don’t have an accurate way of seeing their punches? Are you relying on your or their memory to reconcile timesheets at the end of the month? Are you suspecting that your employees are using buddy punching, or other forms of time theft? You need a system in place that is easy, straightforward, and gives you a clear picture of your employees’ attendance. That system is Timeco, easy-to-use, online time attendance software that can be accessed from anywhere. Eliminate estimating, and get an accurate time management solution that will reinforce your commitment to punctuality. When your employees know that their time is being tracked they are more likely to make it a priority to not be late. Your business will prosper with employees that are on time, and a culture of hard work and meeting expectations.